then click the 'Buy Now' button to order. send us your vehicle details and we'll help you out. The Price includes Express shipping. Buyer responsible for any duties or taxes. Gear to Goannawhere provides a complete product exchange policy. Should you accidentally order the wrong model for your vehicle, we will exchange it free of charge. Sorry, a LOKKA is not currently available for the vehicle details entered. Please check the details or contact us for assistance finding a suitable Lokka model. We are developing new Lokka models all the time based on demand. To add your vehicle for consideration, please send us your vehicle details. Looks like you're not having much luck finding a suitable LOKKA for your vehicle. Please contact us and we'll try to help. "I have a front LOKKA, AND LOVE IT! It is the best mod on my truck! It gets me everywhere the big trucks can and some they can't! It is absolutely brilliant, bullet proof and a thing of beauty!" "Tested the Lokka out at a local medium to hard trail here and they exceeded my expectations. 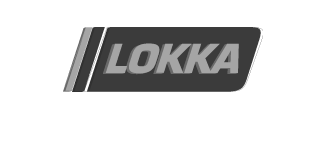 At the Jeep Club meeting tonight I will be telling everyone about Lokka"
LOKKA is a fully automatic Differential Lock that does not require manual operation. It doesn’t have switches, external lines, electric or pneumatic controls of any sort. It relies on a simple mechanical design which makes use of two distinct sets of forces - the "ground driven" forces acting on a wheel when cornering (that force an outside wheel to turn faster) and the forces from the engine (power) turning the differential and axles. 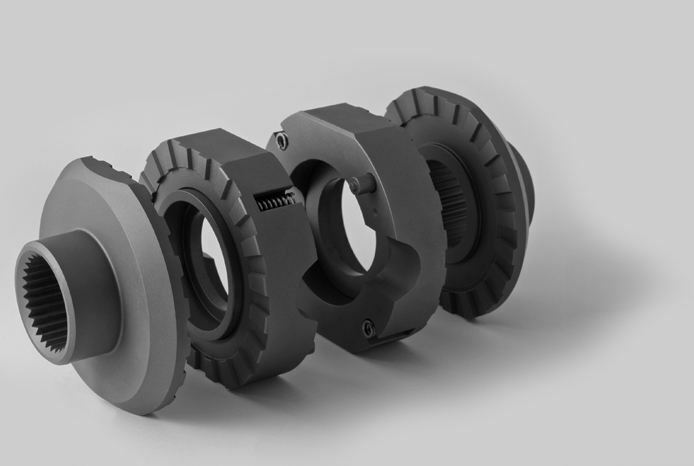 The combination of these two sets of opposing forces and the LOKKA design allow the automatic engagement and disengagement of the driving gears when a vehicle turns or requires differential action. In many of these circumstances both the normal standard differential and LSD center will allow the wheels with the least resistance to spin. Thus the wheels with traction do not obtain any real drive and the vehicle will lose speed or stop. LSD centers might assist under these circumstances but only if they are in good condition and only if there is enough resistance on the spinning wheels to activate the clutch pack or gears to force drive to the wheels with traction. Even a new LSD will allow a lifted wheel to spin freely with no drive to the wheel with traction. 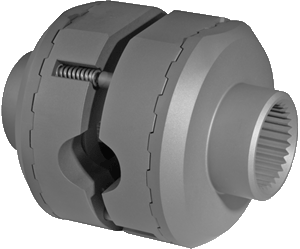 LOKKA overcomes the traction deficiency of the standard differential and LSD center to ensure that a 50:50 power split is achieved when driving, irrespective of ground (or air !) conditions, yet at the same time still allowing differential action when cornering on hard ground.